Your Korg Krome friend ! 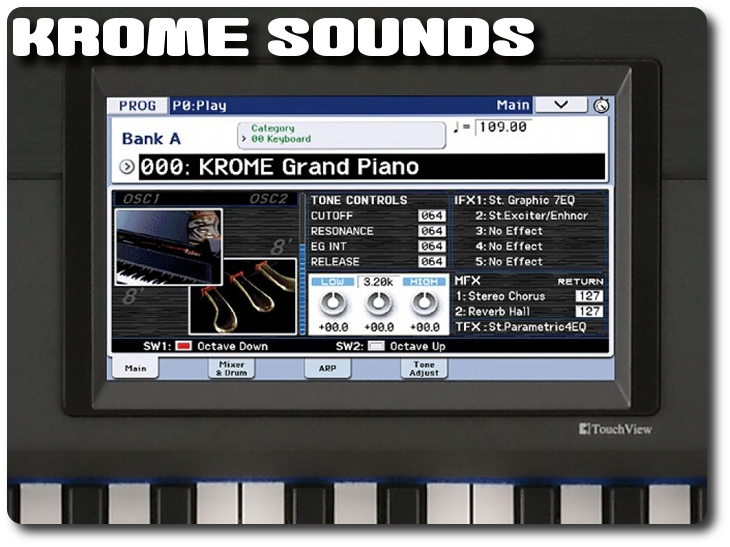 Want more for your Korg Krome ?Become my patron ! I am enough to ask...so do you want to help me to reach my goals and to keep this site on ? -I pay my annual bill from the host provider and keep the kromeheaven website online. -New articles with sounds or selected videos. -Test and Review a professionnal sound pack. -Make a new Sound / Sample Pack available. -Free give away of a professionnal sound pack to 1 people. Click to join, select a monthly amount of money ! 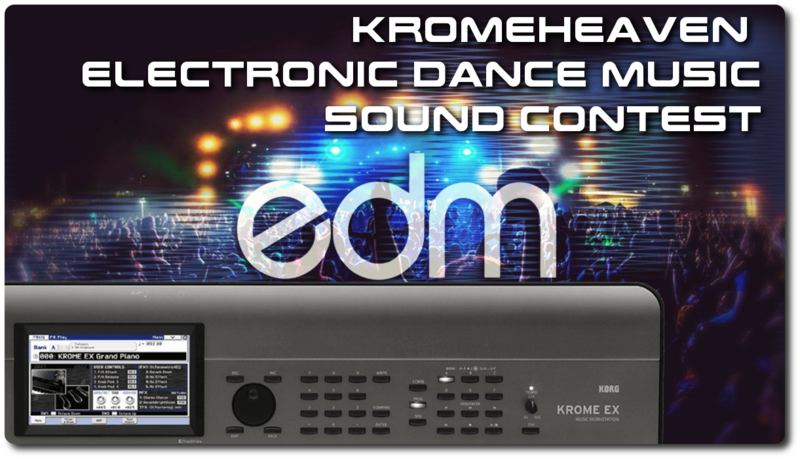 Electronic Dance Music Sound Contest ! We have reach the 10 entries for our EDM sound Contest and you know what ? Some are awesome ! Let's download the sound pack to test them ! Then, come on our facebook group to vote for your favorite one ! Enjoy and stay connected ! Tom Sawyer - Rush sound for Korg Krome ! Often asked on our facebook group (join-us ! ), our friend Dan Stesco has made this sound few years ago for another Korg synth. 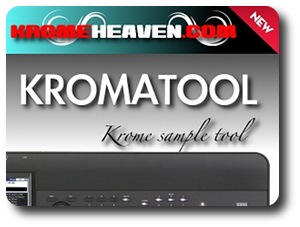 Kromatool is the very first tool to manage samples for your Korg Krome. Version 0.31 was released few years ago, Now, this tool is discontinued. Kromeheaven on your Mobile ! 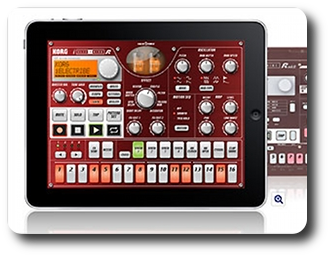 Kromeheaven is also available on your mobile device : smartphone or tablet ! Read us everywhere, when you want ! 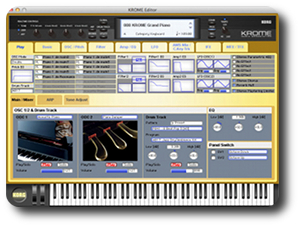 If you have created something interesting for Korg Krome : PCG files? Songs? Videos ? Tutorials ? Do not hesitate to share them with us ! The files will be shared on kromeheaven and of course you will be credited. This place is your !